See guest artist Robert Dane in live, narrated demonstrations in the Amphitheater Hot Shop on November 16, 17, and 18 from 10 am to 12 pm and 1 to 4 pm. 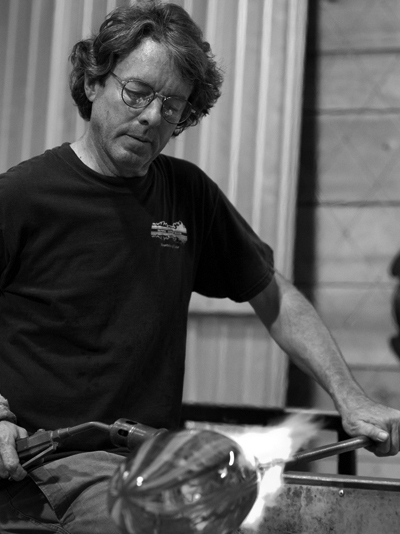 Robert Dane has been blowing glass for more than 35 years. He has studied with Lino Tagliapietra, Pino Signoretto, Dan Dailey, Dante Marioni, and William Morris. He has exhibited his sculpture and glassware widely with galleries around the country. Dane lives and works in Nantucket where he and his wife have a gallery.